Roberto Wenk is one of the pioneers of palliative care in Argentina and Latin America. He is a physician and lives in the city of San Nicolas, Argentina. 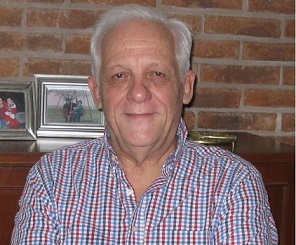 After earning a medical degree at the Universidad Nacional de Rosario in Argentina and a diploma in anesthesiology from the Colegio de Médicos in Rosario, he went on to work as an anesthesiologist from 1974 until 1983. In 1983 he began to work in palliative care in addition to his work in anesthesiology. Since 2000 he has dedicated his work exclusively to palliative care. Dr. Wenk is currently director of the Programa Argentino de Medicina Paliativa – Fundación FEMEBA (Medical Federation of the Province of Buenos Aires) in Buenos Aires, although he retired from his clinical role at the end of 2014. In 1984 he created the Programa Argentino de Medicina Paliativa with a group of volunteers of the San Nicolas branch of the Argentinean League against Cancer (LALCEC); in 1994 this was affiliated with FEMEBA becoming the foundation of the Programa Argentino de Medicina Paliativa – Fundación FEMEBA. Since 1994, Dr. Wenk has combined care of patients and families with graduate teaching in multiple formats (different combinations of theoretical online and bedside activities), and basic research in palliative care. For the past seven years he has also taught medicine at undergraduate level in two Argentinean universities. He is currently working in the implementation in a region (Provincia de Neuquén) of a online clinical record for palliative care. Dr. Wenk has contributed extensively to palliative care at national, regional and international level. He is a founding member and past president of both the Argentinean Association for Palliative Medicine and Care (AAMyCP) and the Latin American Association for Palliative Care (ALCP). From 2005-2009 he was a member of the Board of Directors of the Worldwide Palliative Care Alliance (now the Worldwide Hospice Palliative Care Alliance – WHPCA). In 1991, he was nominated as ‘benefactor citizen’ of San Nicolas and in 2005 the Programa Argentino, which he created, received the International Association for Hospice and Palliative Care 2004 Annual Institutional Award. Dr. Wenk has a long association with the IAHPC and completed his second term as a member of the Board of Directors in 2014. He first joined the Board in 2007 and was elected Chair for the period 2008-2014. At that time he was a member of different working groups: Pallipedia, Opioid Price Watch and IAHPC Palliative Care Essentials (Essential Practices, Prescription Opioid Essential Package). Currently he is a member of the Pallipedia and the Palliative Care Certification Process working groups. His main hobby is building radio-controlled submarines and battle tanks. He has built (apart from the radio controls, power units and batteries) two 1:50 scale models (TR-1700 and Los Angeles class), both of which have been involved in various naval modeling meetings and technical exhibitions. He is currently building a 1:13 scale model of the TAM (Tanque Argentino Mediano).